There are ten questions in this week’s mailbag. One question for every Yankees win in the last eleven games. Things are pretty great right now. Anyway, send your questions to RABmailbag (at) gmail (dot) com and I’ll get to as many as I can each week. Steve asks: With the caveat that the Dodgers are 1000 percent never trading Kershaw and will likely extend him, if their season continues to go downhill and they ever actually did make him available … what would a reasonable trade look like for Kershaw in July? And with that high a price (assuming a LOT), would you pull the trigger to potentially empty the farm for just ONE playoff run for the best pitcher in baseball? This is definitely a hypothetical. Even if the Dodgers collapse, I can’t see them trading Clayton Kershaw. He is the face of the franchise and, frankly, he should be a Dodger for life. It’s not like they won’t be able to re-sign him when he opts out after the season, and it’s not like they can’t paper over the bad contract with more money down the line, once Kershaw really declines. 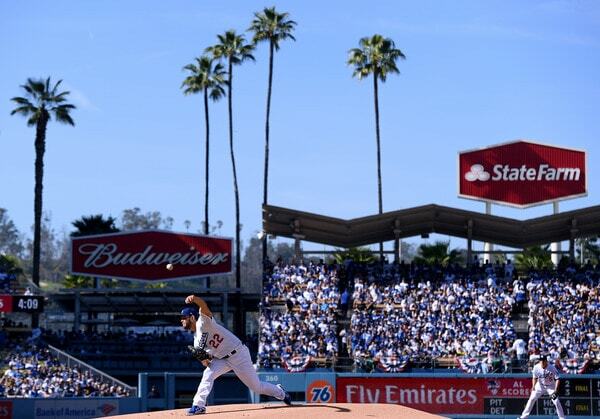 The baseball fan in me wants to see Kershaw in Dodger blue for life. Hypothetically though, we’re talking about a balance of power pitcher. Kershaw can change a division outlook all by himself. Even only a half season of him. Yeah, he might be declining — Ben Lindbergh wrote about Kershaw’s decline the other day — but Kershaw in decline is still a top ten pitcher. His postseason troubles mean nothing to me. Justin Verlander once had the “can’t handle the postseason!” label. Look how that turned out. Kershaw for one postseason run is awfully appealing to me. Plenty of rental aces have been traded in recent years. David Price from the Tigers to the Blue Jays (three prospects, including two MLB ready pitchers). Johnny Cueto to the Royals (three prospects, including an MLB ready pitcher). Yu Darvish (three prospects, including an MLB ready hitter). None of those dudes are Kershaw, but it does give us a template: Three good prospects, at least one of whom is MLB ready. Justus Sheffield, Estevan Florial, Chance Adams? I’d do that in a heartbeat, which of course means it’s way off. The Dodgers would (and should) push for Gleyber Torres. The Yankees would (and should) say no, and try to find another way. I could see a bidding war pushing the price higher — would the desperate as hell Nationals put Victor Robles on the table? — but like I said, this is all hypothetical. Andrew Friedman isn’t running the Rays anymore. He doesn’t have to trade his ace to keep his team viable in Los Angeles, no matter how much they lose. Anonymous asks: The Yanks just left town to travel to Anaheim. I have often wondered just how this is accomplished. What are the details of this trip? How does the body of players, coaches, equipment, writers and broadcasters move from point A in the Bronx to point B in Southern California? What buses, planes and hotels are utilized? Do players rent their own vehicles, do they all use buses. Are rooms shared? How do they get their meals, etc. Reporters travel on their own. I’m not sure about broadcasters. I think they still travel with the team. As for the players, they bus from the ballpark to the airport after the game, fly the team charter to whatever city, then bus over to the team hotel. The team runs buses from the hotel to the ballpark and back — there’s an early bus and a late bus before games — otherwise the players are on their own for transportation if they want to go out to dinner or whatever. Players get per diem on the road ($75 per day) and the home team has to provide a postgame spread. Hotel rooms are most definitely not shared. Been a while since that was the case. The Collective Bargaining Agreement includes standards for hotel quality and whatnot. MLB travel is a well-oiled machine. Two years ago Ryan Hatch interviewed Yankees’ traveling secretary Ben Tuliebitz about all this. Mike asks (short version): What is the difference between their Short Season affiliate (Staten Island) and their Rookie League affiliates (GCL Yankees, Pulaski)? Are they considered the same development level and just in different leagues? Is one considered more advanced than another? Staten Island is in the NY-Penn League and is a higher level. The caliber of competition is better than you’ll find in rookie ball, which is lowest level of affiliated baseball. Rookie ball is for kids fresh out of high school or the international market, basically. 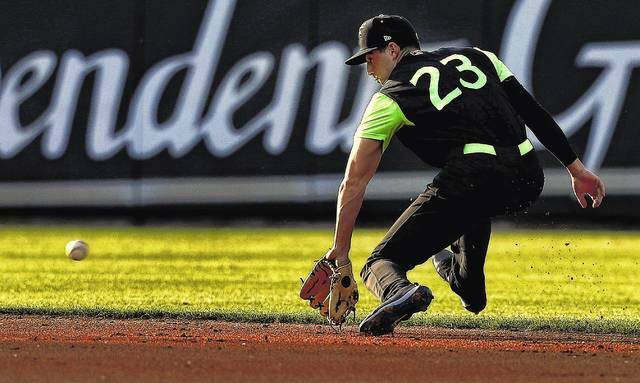 The NY-Penn League is, technically, an advanced short season league. They only play 60-something games each year, but the players are a little older (often college age) and more mature. Rookie ball is kinda like a high school All-Star Game. Advanced short season is more like a college All-Star Game. It’s one step up. Brad asks (short version): What should the Yankees do with No. 21? Just retire it at this point. Paul O’Neill has a plaque in Monument Park and, aside from LaTroy Hawkins, the Yankees have not issued No. 21 since O’Neill retired in 2001. Just retire it. Keeping it in limbo this long is just weird. I suppose the Yankees could give it to a talented young player — would anyone complain if they gave No. 21 to Gleyber Torres like they did when they gave No. 21 to Hawkins? — but it’s not worth the headache. It’s just a number. O’Neill’s been retired almost 20 years now. Make a decision. Either retire it or reissue it. I say retire it. I can’t believe this is still a thing. Paul asks: Not that I want to move him, I think he can be a solid regular, but any chance the Dodgers would be interested in Tyler Wade at SS and what would we target in a trade? The Dodgers have started Chris Taylor and Enrique Hernandez at shortstop since Corey Seager went down with Tommy John surgery. Taylor is a natural shortstop who had been playing center field in deference to Seager, and honestly, I think going with Taylor at shortstop and prospect Alex Verdugo in the outfield is a better option than pretty much any non-Manny Machado shortstop they could acquire in a trade. Taylor + Verdugo > Wade + Taylor. Would the Dodgers be interested in Wade? Yeah, maybe. They need shortstop depth and Wade is versatile with a history of minor league performance — the Dodgers value minor league performance, that’s how they dug up Taylor in the first place — so he seems up their alley. Trading Wade for the pitcher version of Wade (Brock Stewart?) would be worthwhile for the Yankees. I don’t think the Dodgers are in a rush to trade for a shortstop yet though. I don’t see a trade fit between the two teams otherwise. Neither Neil Walker nor Brandon Drury would help cover for Seager. John asks: With April and November weather a concern, and reluctance to adopt a 154 game schedule, why not add 4-5 doubleheaders to the schedule and shorten the length of the season by days? Day/night DHs would ensure no loss of gate revenue. The Rays and Athletics had a scheduled single admission doubleheader at Tropicana Field last year because the Rays wanted to try it out. The players hated it — “It’s the dumbest thing I ever heard of in my life,” said then-Rays first baseman Logan Morrison to Pat Borzi — but ownership wanted to try it. The Rays had a throwback 1970s day, they relaxed their reentry policy so fans could leave the park and return, things like that. I like the idea. Play one doubleheader a month and you can start the season a week later and avoid some of that nasty April weather. Schedule it so that every doubleheader is followed by an off-day the next day. Teams are worried about losing revenue though — two games in one day might not sell as well as two games in two days — and the players hate doubleheaders. It’s a good idea and a seemingly viable solution. Unfortunately no one really seems to be on board. Tamir asks: Hypothetically, would any of these players make a major league roster: 1) A player who never gets on base but will always take 20 pitches to get out. 2) a player who hits 1 home run in every game but otherwise does not get on base. 3) a player who walks in half of their plate appearances but doesn’t get on base otherwise. How would you rank these three hypothetical players in value? The player who is guaranteed to hit one homer per game and do nothing else would be a $50M a year player. Maybe more. With that player, you’re effectively starting every game with at least a 1-0 lead. If you’re the Yankees, you bat that dude directly behind Aaron Judge and 40-something percent of his homers are multi-run shots. That player would be insanely valuable. The player who walks half the time and does nothing else would also be very valuable. Even with no power or baserunning or defense, a dude with a .500 OBP can really help an offense. The guy who never reaches base but has 20-pitch at-bats? Meh. Long at-bats are nice, but with bullpens such a huge part of the game nowadays, working the starter isn’t as valuable as he once was. Player 2, the homer run dude, would absolutely be on a roster. There’d be a massive bidding war for him. Player 3 would be on a roster as well. Player 1? I don’t think so. I’d rank them 2-3-1 in that order. Brian asks: Anecdotally, it seems to me that the Yankees are swinging more frequently at 3-0 counts this year. Am I correct? Do you think this is being driven by the analytics department? Personally, I like it! What are your thoughts on this, Mike? That is all swings, not just balls in play. That includes swings and misses, foul balls, the works. The intent is the important thing, not the outcome. Yes, the Yankees are swinging more frequently in 3-0 counts so far this season. But! This is a super small sample size. That 16.0% swing rate in 3-0 counts represents 12 swings in 75 plate appearances with a 3-0 count. I imagine that 16.0% number will come down as the season progresses. I am all for turning it loose in 3-0 counts. Not every single time, obviously. It depends on the game situation. You don’t want the leadoff man in the ninth inning swinging 3-0 when you’re down a run. But taking a pitch every single time just because it’s 3-0? That’s not for me. If the pitcher is going to give you a get-me-over fastball, be ready for it and hammer it. Michael asks: Aroldis Chapman. Where did all this movement come from?? 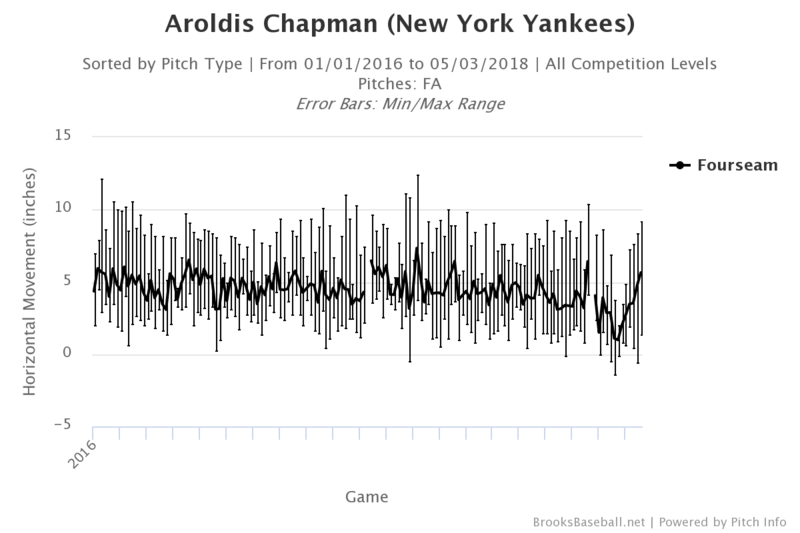 As the mix/max bars show, the horizontal movement on Chapman’s fastball can vary greatly within an appearance. As much as ten inches in some instances. We’re just used to watching him on the offset Yankee Stadium center field camera. YES had more of a true dead center camera during the Astros series and we got a much better look at the movement on everyone’s pitches. It’s dead center camera is great, isn’t it? Chapman’s stuff was especially nasty in his first appearance of the Astros series. It was a good day. That wasn’t completely out of the ordinary for him though. We just don’t get to see him with a dead center camera often, so all that movement looked a) insane (and it is), and b) new . It’s not new though. It was regular old Chapman. J.J. asks: I asked you this a few years ago, but curious for a 2018 version: Which team has the best pitcher/batter combo? Yankees (Severino/Judge)? Dodgers (Kershaw/Seager, pre-Tommy John)? Red Sox (Sale/Betts)? Jose Ramirez and Corey Kluber are in the conversation, ditto Kris Bryant and Jon Lester. I feel like I’m missing an obvious pairing, but those are the guys that jumped to mind. Homer-ish? Maybe! I will admit to being a little worried about Kershaw given his age and career workload, and at this point, I think Severino is just better than Sale. I’d certainly take Severino over Sale the next five years.